AUD 4,173 Excl. Duties / Taxes. This European Cut diamond is 0.94 carat in weight, and comes with Good polish and Good symmetry, as verified from an independent gemological laboratory. The diamond is graded K in colour, and has a clarity grade of SI1. The diamond's GIA grading report number is 5202009702, which will detail further its specifications and measurements, and will also come with the purchase of the stone. AUD 6,636 Excl. Duties / Taxes. This European Cut diamond is 1.34 carat in weight, and comes with Good polish and Fair symmetry, as verified from an independent gemological laboratory. The diamond is graded K in colour, and has a clarity grade of VS1. The diamond's GIA grading report number is 1176590429, which will detail further its specifications and measurements, and will also come with the purchase of the stone. AUD 2,612 Excl. Duties / Taxes. This European Cut diamond is 0.86 carat in weight, and comes with Good polish and Fair symmetry, as verified from an independent gemological laboratory. The diamond is graded K in colour, and has a clarity grade of VS1. The diamond's GIA grading report number is 2195922517, which will detail further its specifications and measurements, and will also come with the purchase of the stone. AUD 4,514 Excl. Duties / Taxes. This Old Miner diamond is 1.16 carat in weight, and comes with Good polish and Fair symmetry, as verified from an independent gemological laboratory. The diamond is graded K in colour, and has a clarity grade of VS2. The diamond's GIA grading report number is 1186888940, which will detail further its specifications and measurements, and will also come with the purchase of the stone. AUD 6,654 Excl. Duties / Taxes. This European Cut diamond is 1.2 carat in weight, and comes with Good polish and Good symmetry, as verified from an independent gemological laboratory. The diamond is graded K in colour, and has a clarity grade of VS1. The diamond's GIA grading report number is 2135110899, which will detail further its specifications and measurements, and will also come with the purchase of the stone. This European Cut diamond is 1.65 carat in weight, and comes with Good polish and Fair symmetry, as verified from an independent gemological laboratory. The diamond is graded K in colour, and has a clarity grade of VS1. The diamond's GIA grading report number is 6204008690, which will detail further its specifications and measurements, and will also come with the purchase of the stone. AUD 1,112 Excl. Duties / Taxes. This European Cut diamond is 0.37 carat in weight, and comes with Good polish and Fair symmetry, as verified from an independent gemological laboratory. The diamond is graded K in colour, and has a clarity grade of SI2. The diamond's GIA grading report number is 5192307600, which will detail further its specifications and measurements, and will also come with the purchase of the stone. AUD 18,244 Excl. Duties / Taxes. This European Cut diamond is 2.05 carat in weight, and comes with Good polish and Fair symmetry, as verified from an independent gemological laboratory. The diamond is graded K in colour, and has a clarity grade of VS1. The diamond's GIA grading report number is 2183425278, which will detail further its specifications and measurements, and will also come with the purchase of the stone. AUD 2,139 Excl. Duties / Taxes. This European Cut diamond is 0.73 carat in weight, and comes with Good polish and Fair symmetry, as verified from an independent gemological laboratory. The diamond is graded K in colour, and has a clarity grade of VS1. The diamond's GIA grading report number is 2193194428, which will detail further its specifications and measurements, and will also come with the purchase of the stone. AUD 5,865 Excl. Duties / Taxes. This European Cut diamond is 1.15 carat in weight, and comes with Good polish and Good symmetry, as verified from an independent gemological laboratory. The diamond is graded K in colour, and has a clarity grade of VS1. The diamond's GIA grading report number is 2203044283, which will detail further its specifications and measurements, and will also come with the purchase of the stone. AUD 17,378 Excl. Duties / Taxes. This European Cut diamond is 2.48 carat in weight, and comes with Good polish and Fair symmetry, as verified from an independent gemological laboratory. The diamond is graded K in colour, and has a clarity grade of SI1. The diamond's GIA grading report number is 2195342629, which will detail further its specifications and measurements, and will also come with the purchase of the stone. This European Cut diamond is 1.31 carat in weight, and comes with Good polish and Fair symmetry, as verified from an independent gemological laboratory. The diamond is graded K in colour, and has a clarity grade of VS1. The diamond's GIA grading report number is 2181777374, which will detail further its specifications and measurements, and will also come with the purchase of the stone. AUD 4,650 Excl. Duties / Taxes. This European Cut diamond is 1.04 carat in weight, and comes with Good polish and Fair symmetry, as verified from an independent gemological laboratory. The diamond is graded K in colour, and has a clarity grade of VS2. The diamond's GIA grading report number is 5192735749, which will detail further its specifications and measurements, and will also come with the purchase of the stone. AUD 9,532 Excl. Duties / Taxes. This European Cut diamond is 1.52 carat in weight, and comes with Very Good polish and Good symmetry, as verified from an independent gemological laboratory. The diamond is graded K in colour, and has a clarity grade of SI1. The diamond's GIA grading report number is 2195014704, which will detail further its specifications and measurements, and will also come with the purchase of the stone. AUD 10,804 Excl. Duties / Taxes. This European Cut diamond is 1.53 carat in weight, and comes with Very Good polish and Fair symmetry, as verified from an independent gemological laboratory. The diamond is graded K in colour, and has a clarity grade of VVS2. The diamond's GIA grading report number is 1176949760, which will detail further its specifications and measurements, and will also come with the purchase of the stone. AUD 1,643 Excl. Duties / Taxes. This European Cut diamond is 0.54 carat in weight, and comes with Good polish and Fair symmetry, as verified from an independent gemological laboratory. The diamond is graded K in colour, and has a clarity grade of VVS2. The diamond's GIA grading report number is 1146720763, which will detail further its specifications and measurements, and will also come with the purchase of the stone. AUD 4,704 Excl. Duties / Taxes. 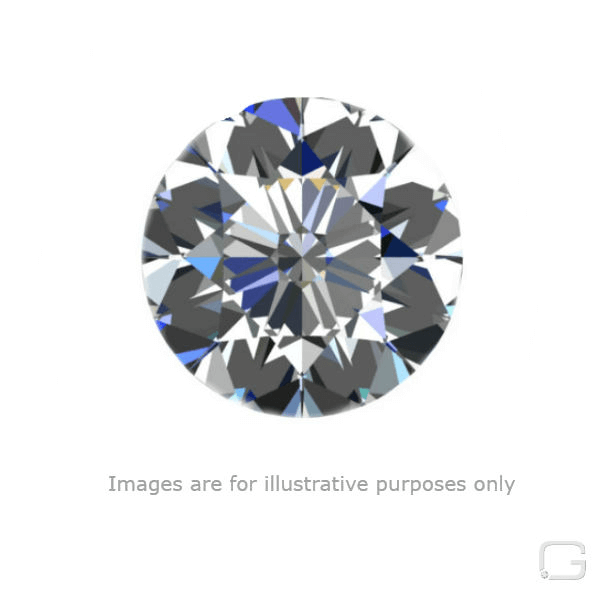 This European Cut diamond is 1 carat in weight, and comes with Good polish and Good symmetry, as verified from an independent gemological laboratory. The diamond is graded K in colour, and has a clarity grade of SI1. The diamond's GIA grading report number is 2195446485, which will detail further its specifications and measurements, and will also come with the purchase of the stone. AUD 1,996 Excl. Duties / Taxes. This European Cut diamond is 0.52 carat in weight, and comes with Very Good polish and Good symmetry, as verified from an independent gemological laboratory. The diamond is graded K in colour, and has a clarity grade of SI2. The diamond's GIA grading report number is 2131832782, which will detail further its specifications and measurements, and will also come with the purchase of the stone.